This post and information is sponsored by Green Virgin Products. As always, all opinions are my own. 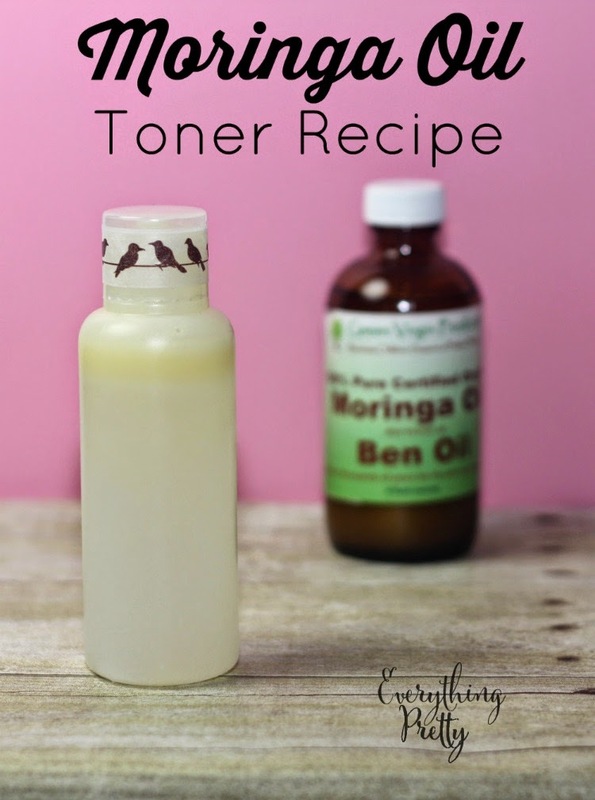 A few months ago, I posted about an amazing skin and hair care oil called Moringa Oil. Morgina Oil is often called a super food because it has over 90 types of nutrients, including proteins, fiber, minerals, vitamins, anti-inflammatory agents, and amino acids. The Moringa Oleifera plant is used for its flowers, seeds, fruits, roots, and leaves, with the leaves being the most nutritious part of the plant. Many people add Moringa powder to their foods because it is high in potassium, vitamin C, calcium, and protein. It is higher in protein than soybeans, and it has more protein per gram than any other plant! I made this Moringa infused hot oil treatment as a DIY hair mask for dry hair with the powder because its nutrients and protein are excellent for hair. You could also use this oil infusion in other recipes like sugar scrubs or use it in place of a carrier oil in any recipe that calls for a light oil. I chose grape seed oil because it's non-greasy and odorless. It's said to be a natural sunscreen for hair, which is important in the summer. It is a popular oil for dandruff, and it's said to repair damaged hair and strengthen hair. Link in this post may be affiliate links, which means that I earn a small commission from sales. Heat a pan of water over high heat. Remove from heat when it boils. Add 1 cup grape seed oil to a pint or quart mason jar. Add Moringa powder to the oil. Set the jar in the hot water but not on the heat source. Do not heat the water with the oil in it. You want to be careful to just warm the oil and not get it over 140 degrees. Let the jar sit in a warm location up to a week, stirring daily. I let mine sit for a full week. Place cheesecloth over the mason jar and screw on the band. Pour the infused oil in to the jar. Discard the cheesecloth and used powder. Grape seed oil is normally a light green color, but it turned this beautiful greenish brown color after the infusion. 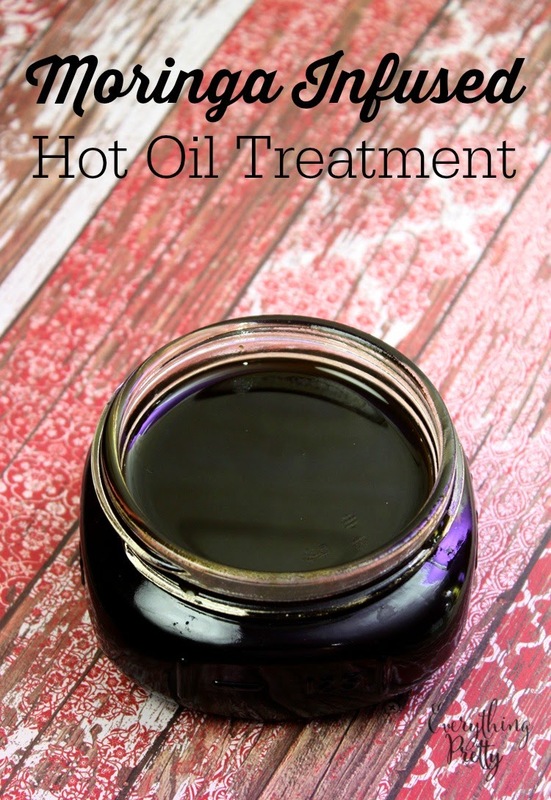 To use, warm the oil by placing in a bowl of hot water for several minutes. After you test the oil to make sure it is not too hit, apply the oil all over your hair and scalp and let sit for 20 minutes. Rinse with warm water and a cool water rinse. Repeat twice a week for best results. 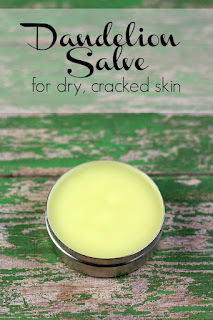 I dye my hair and flat iron it several times a week, and this DIY hair mask for dry hair really helps revive my hair.